Game one of the Eastern Conference semis between the Heat and Raptors is in the books, and man, was it memorable. We all know what happened. The Raps played great defence in the first half, but couldn’t take advantage of their offensive opportunities. Well, like always, it came back to haunt them. The second half was the D-Wade and Goran Dragic show, putting on a scoring clinic. Fast forward to the last minute. Terrence Ross hits one out of two free throws to get the Raps within two, Whiteside only makes one of his free throws and bam…the Raps are back in this thing. With no timeouts and only 3.3 seconds remaining on the clock, the Raps inbound to their struggling point guard Kyle Lowry. I’ll just let youtube take care of the rest. Lowry’s half court shot brought some much needed energy to the ACC, and going into overtime I thought there was no way they could lose after that. But, I was wrong. The Raps couldn’t buy a bucket in OT, missing easy jumpers left, right and centre. But there they were again, within three, with the ball, with under 20 seconds left in OT – but this time, it was a different story. There wasn’t any miracle heave at the buzzer, or even a shot attempt for that matter. DeMar DeRozan tried to do too much, and ultimately got the ball stolen which lead to a D-Wade and-one layup to seal the game. All of that for nothing. This game was an instant classic, one that Raptors fans will be trying to forget for quite some time. Sure, the Lowry buzzer-beater was a great shot and a great moment – but in the end, it meant nothing. Hopefully hitting that shot will give Lowry a spark, but judging from his overtime performance, it probably wont. The Raptors have to quickly move on and focus on game two. Losing both games at home would be disastrous, and would basically end any shot the Raptors have of winning the series. The Raptors won the turnover battle in game one, forcing 17 turnovers compared to their 15. Unfortunately, the Heat did more to capitalize on their chances, and used the Raptors turnovers to get into rhythm. Goran Dragic especially loved getting out and running the floor, which allowed him to get quick baskets in transition – something that has turned into a trademark of his over the years. The Raptors did a great job of forcing turnovers, but they have to make sure they don’t give them the ball right back. The Heat out-rebounded the Raptors 52-41 in the game, and that discrepancy had a huge effect on the game. The Heat won the offensive rebound battle 11-4, and those second chances were crucial, as it stopped any momentum the Raptors gained by stopping the first possession. The Raptors have to rebound as a team to get Hassan Whiteside off of the boards, and they should be able to close the gap. J.V had a solid game on the boards, grabbing 14 of them, but he needs help. Bismack and Patterson have to start rebounding the ball more – J.V can’t be the only one on the boards. Enough has been said about Kyle Lowry’s struggles with his shot. In the first series against the Pacers, Lowry found a way to help his team, whether it be with his defence, rebounding, or passing. In game one, Lowry struggled with every single aspect of his game. He finished with 7 points, 6 assists, and 4 rebounds, as well as 3 turnovers. Lowry let Dragic get whatever shot he wanted, and could not do the same on offence. Kyle will be okay, he is a great competitor, and knows how good he can be. If he focused more on getting his teammates involved and contributing in other ways (such as on defence, guarding Dragic), instead of trying to get his stroke back, he would help the team immensely. I think Lowry can do this – he is the ultimate team player. Once the other parts of his game come back, so to will his shooting. The Raps have a good chance of turning this thing around. There were a lot of good things to take from this game (mostly from the first half), but the end result is all that matters unfortunately. In order to turn things around, the Raps must win the turnover battle, out-rebound the Heat and get Kyle Lowry going. I still think they can win this thing, do you? Do the Raps have a chance in this series? Will Lowry ever find his shot? Comment your thoughts below! 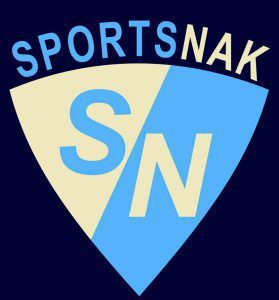 Don’t forget to follow SportsNak on Facebook and Twitter!